Although his career has been silent for the past quarter century (he last sang in a public performance in 1988), Jon Vickers' name has continued to resonate loudly through his substantial discography. He sang strong roles. He felt an obligation to become the character. If he didn't like the character, or he felt there was something weak about a particular work, he would refuse the role. Somewhat famously, in the late 1970s, he dropped out of a production of Richard Wagner's "Tannhauser" before the first performance, saying he felt no empathy for the character. On the other hand, he championed the role of "Peter Grimes" in Benjamin Britten's masterwork, and sang many of Verdi's most powerful characters. His was a rugged career, by a rugged man. Herbert Breslin described him as “an iron column that weeps tears.” There had not been such a performer before he arrived onstage in his Royal Opera House, Covent Garden debut in 1957, and many will contend there will never again be such a genuine artist. 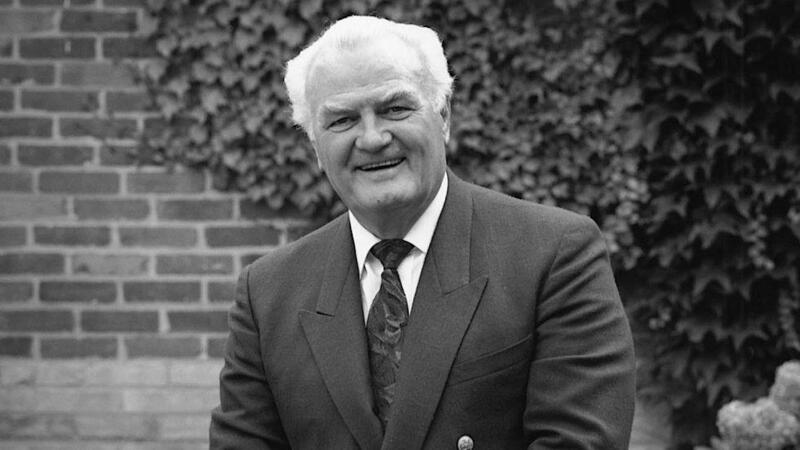 Canadian-born tenor Jon Vickers passed away July 10, 2015. There are several excellent obituaries which I will recommend. I will leave the details of his career up to these several links. The Royal Opera House, Covent Garden, where Vickers sang often, released this remembrance. Of course, the New York Times is respectful and thorough. My career intersected that of Mr. Vickers on one memorable occasion. In the summer of 1981, I accepted an offer to join the horn section of the Orquesta Filarmonica de la Ciudad de Mexico (Mexico City Philharmonic). I had heard the orchestra at the tail end of its U.S. tour in May of 1981 and had come away mightily impressed. At that time, I was seeking a change of scenery after playing six seasons with the San Antonio Symphony, so when the Mexico City offer was tendered, I was excited about moving to Mexico City. It was a fine orchestra and the salary represented a considerable raise. Within the first 5 weeks of the Philharmonic's 1981-82 season, I knew I had made the right decision. The orchestra was well regarded and well-traveled. It was considered the best orchestra in Mexico, perhaps the best in Latin America. The Phil, known by the initials OFCM, was still a young orchestra. It had been launched in 1978 through the initiative of Carmen Romano, the wife of the then President of Mexico, José López Portillo. The First Lady, referred to variously as Madame Portillo or The Queen, practiced a hands-on approach to the OFCM. Thus, when the United Nations decided to celebrate the membership of Mexico with a concert in the General Assembly Hall in October of 1981, the OFCM answered the bell. This was not without a degree of controversy. Mexico's National Symphony felt they were entitled to represent the country. Madame Portillo had other ideas and, of course, her plan prevailed. Thus, in only my sixth week with the OFCM I found myself boarding a flight from Mexico City to New York City. The orchestra arrived in the Big Apple one day before the concert, and on the same weekend as that year's running of the New York City Marathon. This was all a bit of a rush, metaphorically and physically. The orchestra bused to its hotel, checked in, and then went immediately to the UN for a rehearsal. There were the requisite acoustic checks, then rehearsals with the two soloists for the event, soprano Renatta Scotto and tenor Jon Vickers. This was definitely a big time concert with important guest artists. The rehearsing began. I don't recall the repertoire, but certainly the two operatic stars each got their solo shots, then came together for a set of duets. This is always an exciting time for an orchestral musician, to share the stage with stars of international caliber. During that first season I played with the OFCM, it was a constant parade of A-list soloists, but never anything which exceeded the brilliance of Vickers and Scotto, both at the top of their games. When I recently remembered this concert with a couple of friends who were living in NYC at the time, and came to the concert on my complimentary tickets, they remembered most clearly the presence of numerous Mexican bigwigs, including Madame Portillo, in the audience. They also recalled being blown away by Renatta Scotto. My memories point more readily to the experience of working with Mr. Vickers. True to his reputation, he was a somewhat difficult man, but also one who took his calling seriously. The honesty of his characterizations of each of the roles he portrayed was amazing. I kept pinching myself to make sure this was real, that I was in fact in the middle of the General Assembly Hall of the United Nations, the ghost of Dag Hammarskjöld walking behind me and the already legendary Jon Vickers before me. I knew then I had taken my career as an orchestra player to the next level. Thank you, Jon Vickers, for making this a landmark I still recall today. As if this was not high water mark enough, the morning after the Jon Vickers concert, the orchestra was back in the air, flying back to Mexico City for a week of work with guest conductor Eduardo Mata. I knew of Maestro Mata, but still couldn't quite understand why the orchestra management was bending over backwards to get us back to Mexico for the week with Mata. However, once the rehearsals began, I understood exactly. If Vickers and Scotto represented the best of international opera, Mata stood as the most important Mexican conductor. The orchestra was thrilled to be in his presence for a program of Carlos Chavez and Ottorino Respighi. Those two performances marked yet one more landmark in my career. I pinched myself again when the orchestra arrived the following week in Washington, D.C. for a concert at the Kennedy Center. This time we traveled with Jorge Federico Osorio, Mexico's best concert pianist. The concert was great, another landmark, the third in three consecutive weeks. Could it get any better? After the Kennedy Center concert, a group of musicians from the orchestra went to a jazz club in Georgetown and heard saxophonist Stan Getz, this on Halloween evening, 1981. We took the next week off, spending our hard earned money on records and stereo gear in New York City before finally getting down to something vaguely resembling hum-drum back in Mexico City. Thank you, Jon Vickers, for giving me that one opportunity to share a stage with you. May you rest in peace.